ON Semiconductor is improving performance for industrial imaging applications that require both high resolution image capture and maximum image uniformity. 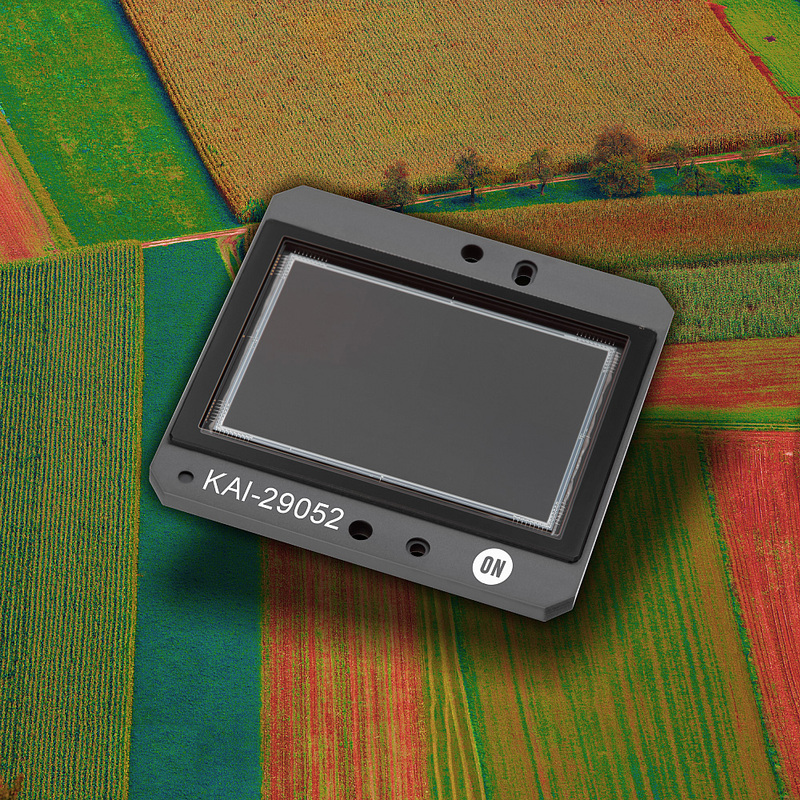 The new 29 megapixel KAI-29052 image sensor provides up to twice the imaging sensitivity of the existing KAI-29050 in the wavelength range of 500 nanometre (nm) to 1050nm. This improved performance is particularly beneficial to applications operating in near-infrared (NIR) wavelengths, such as 850 nm. This enhanced pixel design retains isolation of charge from one photodiode to another, enabling this increase in sensitivity without any reduction to image sharpness (Modulation Transfer Function, or MTF). In addition, an improved amplifier design reduces read noise by 15%, increasing the linear dynamic range available from the device to 66 decibel (dB). With these enhancements, the KAI-29052 serves as a new performance benchmark for high resolution image capture. The KAI-29052 is now available in a RoHS-compliant CPGA-72 package in Monochrome, Bayer Colour, and Sparse Colour configurations, and is fully pin compatible not only with the existing KAI-29050 image sensor but also a full family of 5.5 micron and 7.4 micron CCD image sensors, enabling camera manufacturers to quickly adopt the new device.